Pierre Boulez's solo keyboard output remains heavily weighted in favor of the most radical, intransigent phase of his development � his twenties � although it is no coincidence that these were also his most productive, self-assured years as a composer. As Charles Rosen, one of Boulez�s important early interpreters, observed, the piano �is a traditional outlet for experimentation: it allows an immediate control over the musical idea,� one that �often indicates at once the nature of the revolution and suggests its limits.� Those limits would be reached in earnest with the unfinished Third Sonata, one of the essential termini of the postwar avant-garde project in its most �heroic� phase, and in many respects the decisive venture of Boulez�s creative life. 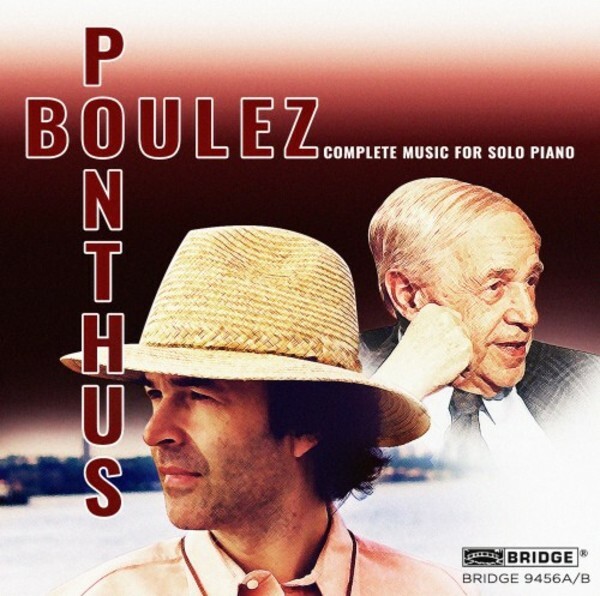 On these discs, Marc Ponthus plays all of Boulez's solo piano music, including the expanded 2001 version of Incises.